• Pay Only $249/Terabyte for the Files You Transfer -- That's a TON of Transfer! 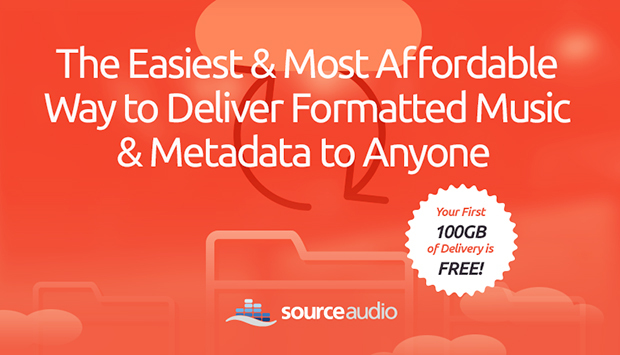 » Your First 100GB of Delivery is FREE! Paying for file delivery is simple: You buy your file transfer by the terabyte. Need to send your entire catalog to a new sub-publisher? Need to send your latest releases to a long-time client? Perfect. Just visit the new File Delivery section of your Admin Panel, provide us with your credit card details, purchase your first terabyte of transfer, and send your files. We'll let you know how much transfer you have left until you need to purchase your next terabyte. Your terabytes never expire and there's no other hidden or recurring fees. Use only what you need and hang onto your transfer balance as long as you want! » Need Help Getting Started? We encourage you to send a couple test deliveries, for free. Run through the steps and send a handful of albums to yourself. Once you've gone through the flow and have saved a few new delivery partner profiles, let us know what you think! If you have any questions or need help getting started with your first partner delivery setup, shoot us an email and we'll get you started. You'll also notice that there are several preset delivery schemas already built into your new File Delivery tool. These are schemas that are widely used so we set them up for you in advance so that you can quickly send files to any partners utilizing those systems. Feel free to test out deliveries to partners using those systems as well. We hope you tap into the time and cost-saving benefits of our new file delivery feature...enjoy!